Clothbound, 9.5 x 11.25 in. / 352 pgs / 170 color / 261 duotone. Man of many moustaches, of critical paranoia, of flies and ants, body parts held up by crutches, desert scapes windswept by perverse oases, melting clocks and faces, floating pomegranates, ever evolving metamorphoses. How ever to explain it all? How ever to explain Salvador Dalí? 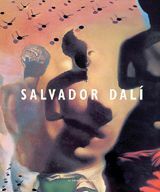 This monograph on Dalí, originally published in 1975, was without doubt a landmark in the extensive bibliography on the artist. Two factors aided author Luis Romero in his endeavor: firstly, the active support of Dalí himself, who helped in selecting the materials and who produced the series of original calligraphic texts that precede each of the sections in the book. And secondly, Romero's decades of long talks and conversations with the artist, a wealth of invaluable information without which this book could not have been composed. 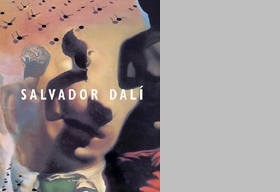 This revised edition features a new design grid, an updated index of works by Dalí, digitalized and color-corrected images made from new transparencies, and an up-to-date biography and bibliography. The entire text by Luis Romero and the sequence of images that he and Dalí established remain unaltered. FORMAT: Clothbound, 9.5 x 11.25 in. / 352 pgs / 170 color / 261 duotone.